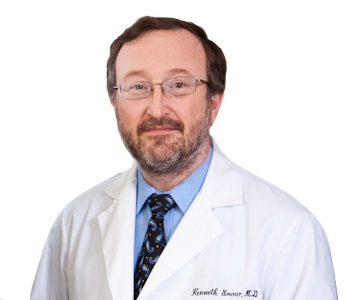 Dr. Kenneth J. Snow, the Chief Medical Officer of NeuroMetrix that develops and markets devices for the diagnosis, treatment and management of diabetes joins eHealth Radio and the Diabetes Information Channel. Dr. Snow has extensive experience in diabetes, including patient care and clinical research. Tell me about diabetes and its impact on those who have the disease. How prevalent is the disease in the U.S.? What led you to dedicate yourself to diabetes? What unique solutions do NeuroMetrix products provide? What NeuroMetrix products are on the market now? What tip would you give to those who suffer from diabetes? What can patients do to improve their quality of life? Kenneth J. Snow, M.D. is Chief Medical Officer of NeuroMetrix (Nasdaq: NURO). NeuroMetrix, headquartered in Waltham, MA, develops and markets home use and point-of-care devices medical devices, associated consumables, and support software for the treatment and management of diabetes and its complications. The company is focused on nerve related complications of diabetes, called diabetic neuropathies, which affect over 50% of people with diabetes. The company markets the NC-stat® DPNCheck™ testing device for diabetic neuropathy. This product is used to detect diabetic neuropathy at an early stage and to guide treatment. The company is in late stage development of SENSUS™, a pain management device which recently received Food and Drug Administration clearance. The company has additional therapeutic products in its pipeline. Dr. Snow has spent the past 17 years at the Joslin Diabetes Center in Boston, MA. The Joslin Diabetes Center is affiliated with Harvard Medical School and is the world's oldest and most respected diabetes care facility. Most recently, Dr. Snow was Director of Medical Programs at the Joslin Center for Strategic Initiatives. Prior to that he was Acting Chief of the Adult Diabetes Section at the Joslin. Dr. Snow also holds an appointment as Assistant Professor of Medicine at Harvard Medical School. Dr. Snow has a B.S. in Chemistry from the Massachusetts Institute of Technology, and an M.D. from Johns Hopkins School of Medicine. He completed his internship and residency at Northwestern Memorial Hospitals, Chicago, IL and fellowship training in Endocrinology at New England Medical Center Hospitals, Boston, MA. In addition to his medical training, Dr. Snow has an MBA from the Isenberg School of Business at the University of Massachusetts, Amherst.